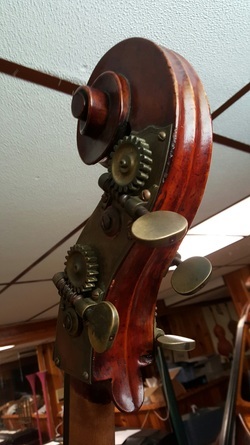 Double bassist John Hood is a native of Amarillo, Texas. He joined the Philadelphia Orchestra in 1982. He previously was a member of the National Symphony Orchestra, North Carolina Symphony Orchestra, Santa Fe Opera Orchestra, and the Toledo Orchestra (Ohio). A graduate of the Interlochen Arts Academy, John also attended the University of Michigan. A long time faculty member of Temple University, he formerly taught at the Peabody Conservatory. Interests outside of the orchestra include nature hikes, puzzles, and other musical instruments.